You asked and we listened. 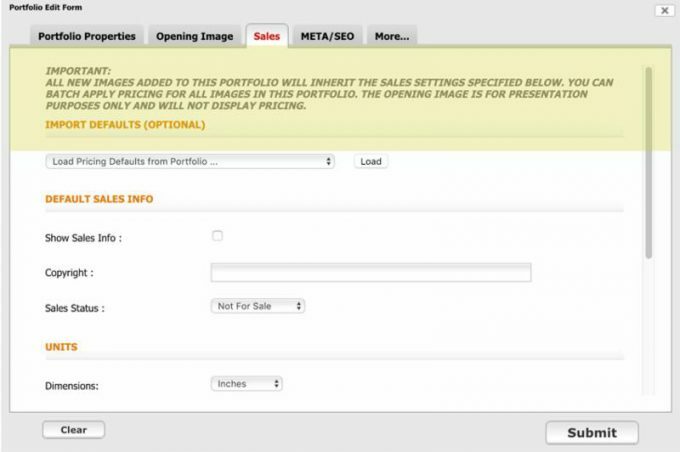 Applying batch pricing to your FolioLink portfolios just got easier. Now any portfolio that you create with pricing information can serve as a default for another portfolio. Essentially, any portfolio in your website can act as pricing template for another portfolio. This is a great time saving feature for photographers and artists who offer many of the same prices and dimensions. As always, individual images can still be edited on their own for special pricing outside of your applied defaults. Enjoy! ← Add Animated GIFs to your FolioLink Website!